A few evenings after the urban historian and heritage conservation activist Sharada Dwivedi passed away, I found myself walking from Marine Drive to Kala Ghoda, in the colonial and early-modernist south of the city that she resolutely called ‘Bombay’, refusing to use its official name, ‘Mumbai’. This preference did not arise from any distaste for local usage—indeed, as very few people realised, Sharada was Maharashtrian by birth—but because she cherished the inclusive, cosmopolitan associations inherent in the older name. ‘Bombay’, to her, was an assurance that the city could never be narrowed down to a single linguistic, regional or ethnic definition. As I walked, I became sharply aware that there was not a single major building in this district which had remained untouched by Sharada’s critical intelligence. 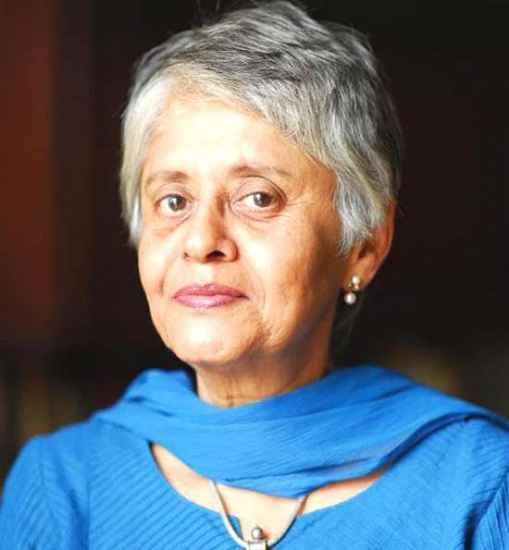 In the last two decades, she had studied and written about the Indo-Saracenic Western Express Headquarters at Churchgate, the Art Deco edifice of Eros cinema, the neo-Gothic High Court, Flora Fountain, and the entire spread of architectural monuments from various periods in the Kala Ghoda precinct. The very idea of identifying Kala Ghoda as an arts precinct arose from the pioneering work Sharada and her collaborator, the distinguished architect and urbanist Rahul Mehrotra, codified in their justly celebrated 1995 book, Bombay: The Cities Within, and through the Kala Ghoda Association, which grew from their advocacy. While Kala Ghoda was indeed one of South Bombay’s core districts and home to a number of major cultural and academic centres, it had suffered municipal and public neglect during the ’80s and early ’90s. In the late ’90s, Sharada, Rahul and their colleagues galvanised the area’s key stakeholders into the Kala Ghoda Association. This success forms part of Sharada and Rahul’s larger programme of bringing together a group of architects, conservationists and environmental activists to campaign for urban revitalisation: to transform space into place, to turn what municipal planners saw only as conduit spaces and traffic zones into locations that citizens could inhabit and enjoy. Rahul, Sharada and their colleagues at the Urban Design Research Institute prepared the documentation and position papers that made possible the landmark urban heritage conservation legislation that now protects Bombay’s historic architecture. Sharada was a unique and courageous voice in Bombay’s public life. To her, the metropolis was not merely an economic hub. It was far more than that: a guarantee that human beings could release themselves from the constraints of circumstance and reimagine themselves, realise their potential. Nor did she view this as a prerogative of the Anglophone elite; communicating fluently in English as well as Marathi, she insisted it was within the power of ordinary citizens to mobilise themselves and demand a finer quality of life from a State that was mandated to provide it. Sharada worked with a formidable array of allies to agitate for improvement in civic conditions. She insisted on reclaiming the details of the city’s built form from the encroachments of sloppy development and myopic policy. She retrieved the memory of Bombay’s utopian moments from collective amnesia; she saved invaluable municipal records attesting to the shifts in the official and popular perception of how this west-coast metropolis was to be shaped. She recalled us, as citizens, to our proper role as participants in our environment. Too many of us, she’d argue, had allowed ourselves to become the willing, apathetic victims of policy. While urban heritage conservation has sometimes been dismissed as an obsession with pretty facades, Sharada tore away the miasma of familiarity and drudgery, and made us see the city with fresh eyes. By pointing out a fountain here, a vanished train station there, the ornamentation on a public building that spoke of migrant artisans and travelling images, she remapped the city as a kaleidoscope of changing social and political relationships, formed by migration and cross-pollination, a richly hybrid space of self-transformation. Crucially, Sharada re-enchanted the city for us. To those of us privileged to be her friends, Sharada was a warm, generous presence, unswerving in her loyalties and wonderfully combative in her antagonisms. Her humour, her eye for the absurd and her spirited enjoyment of debate leavened the seriousness with which she went about her research and advocacy. She never lost her ability to be excited by new ideas and projects, or her practical optimism. Her life was based on the belief that the determination to fight the system and work towards change can truly achieve change. With her passing, Bombay has lost one of its most devoted and passionate custodians. Competitive skyscrapers and the victims of aspirational developers.